I have wanted to go to Bali forever. Well, maybe ever since I watched the movie “Eat, Pray, Love”…kidding…kinda. In all seriousness though…Julia Roberts made Bali look magical and I am hellbent on getting a reading from Ketut, the medicine man in the movie. I’m sure Brian just read that and rolled his eyes. Don’t worry babe…I won’t force you to get a reading from Ketut…I promise. We have the first half of our honeymoon in Vietnam planned out- on April 24th we fly from LA to Ho Chi Minh (with a layover in Tokyo). We stay in Ho Chi Minh for five days before we head to Halong Bay for a three-day boat trip. When we return from the bay we will then fly to Hanoi which is located in southern Vietnam for another five days before we fly to Bali (with a layover in Kuala Lumpur…don’t even get me started about my current anxiety over flying on Malaysia Airlines through Kuala Lumpur after recent developments. You could say that I am slightly obsessed with the missing plane. Brian probably just read that and thought…slightly?????) Anyways, then we have twelve days in Bali! We still haven’t figured out how to break up our time there yet. I’m thinking half in Ubud (inland Bali) and half sitting on a beach doing absolutely nothing. 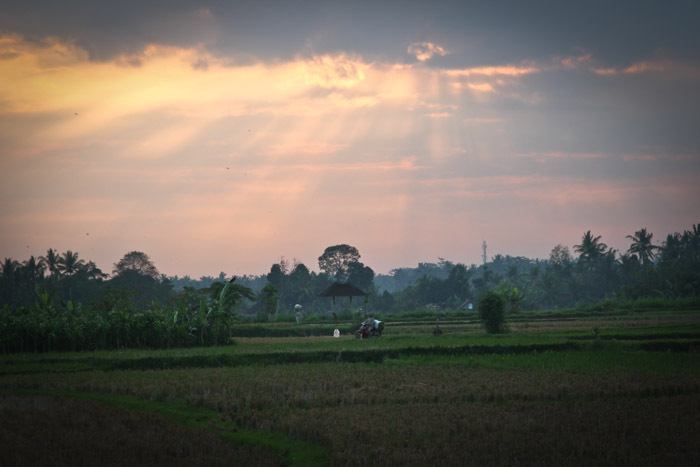 I was researching Bali this morning and stumbled upon a Bali Travelogue on the blog Hither & Thither (which I am now obsessed with) and her pictures of Ubud left me speechless. 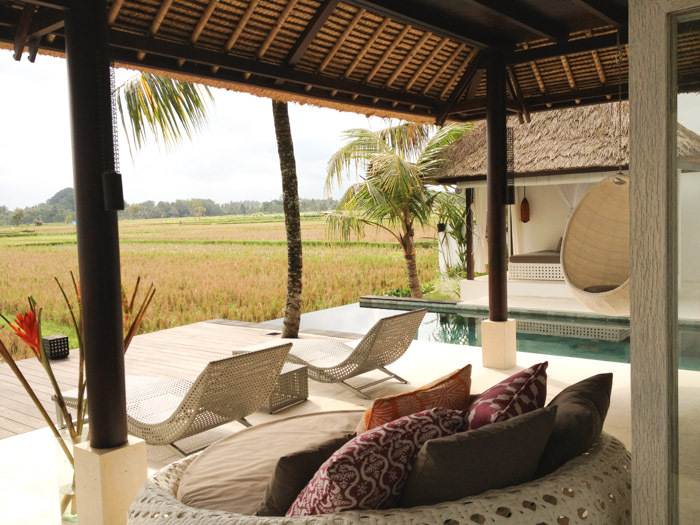 I’m already in love with Bali and have decided we must stay at this villa while there. 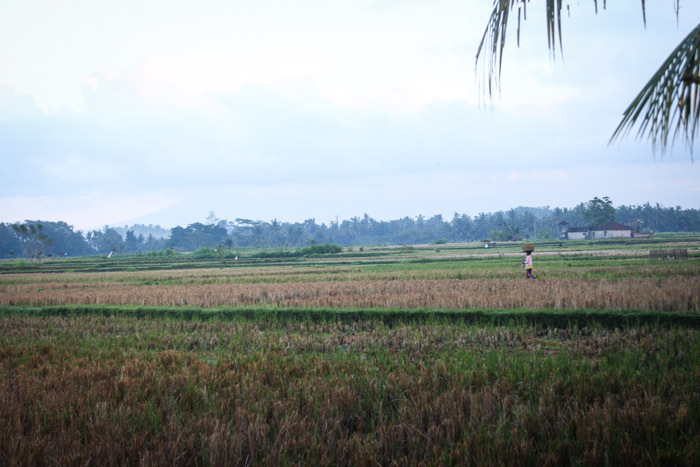 I fell in love with Bali ten years ago. The people, the landscape, the food (spicy & the most amazing tropical fruits). 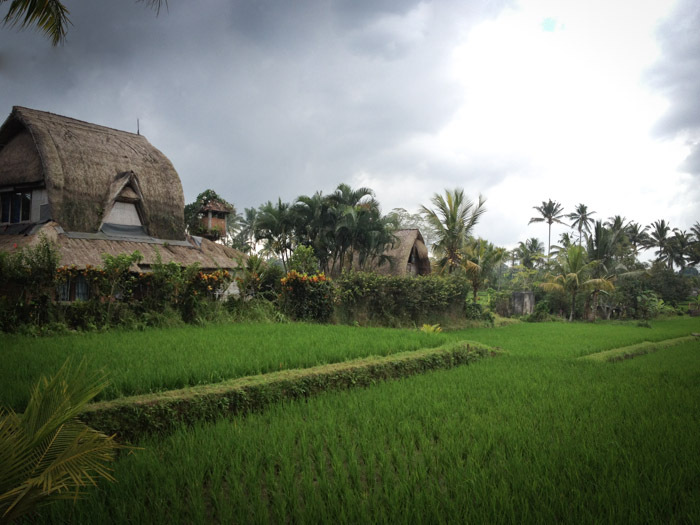 Ubud is one of the most beautiful cultural places I have been to. We also went on a wild river rafting where we had to stop in the middle and wait for a cow to pass (sacred animals-totally surreal). When we finished the rafting we had a barbecue in the wild where we were served the food on banana leaves instead of plates. I do wish you have an amazing time! Hi there would yyou mind stating which blog platform you’re working with? I would be delighted if you did! Thank you so much for checking with me first!